The number of new business startups is growing at a fast paced, as more Americans see the value in building and owning their own business. Starting your own business gives you the opportunity to break away from the ordinary 9-to-5 job and no longer have a boss that orders you around all day, telling you what to do. Starting a business allows you to build something from the ground up and not feel like a job. When you build and grow your business, generally you’ll also grow as a person with the business – increasing your skills, knowledge, and establishing yourself as an expert in that field. Owning your own business can also offer unlimited monetary rewards. So, how do you start your own business? 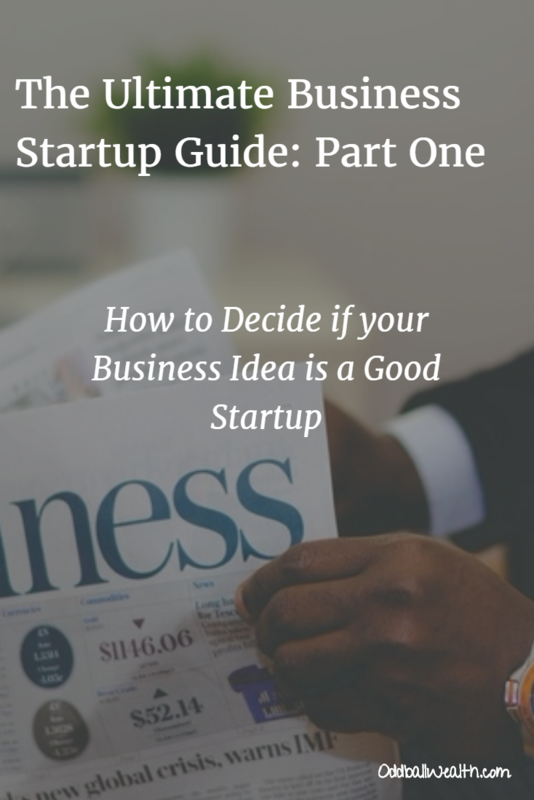 Well, I put together this business startup guide to help push you in the right direction. Around 50% of people have great business ideas but never get past the “idea” phase because they’re not sure where to start. To make sure you don’t go broke and starve to death, you’ll want to start by testing your idea while you’re still collecting a steady paycheck from your day job. It wouldn’t make economic sense to invest time and money into a startup only to find out there isn’t any demand for the product or service you offer, or that there are already established competitors serving that market in your area. To start you’ll first want to find out where your competitors, suppliers, and potential customers are located. You can use an awesome tool called SizeUp at sizeup.com, which allows you to find out how your business compares to other businesses, find out where potential customers are, and even the best places for you to advertise. The United States Census Bureau also offers an excellent Business Builder tool, which helps you decide on the best location for your business. You’ll want to do some research to make sure your potential business isn’t just a trend that’ll do good for a year and then fail once that trend has passed. You can access a free Small Business Snapshot from SBDCNet. They offer free market research reports, which cover industry trends, market stats, customer demographics and recent business articles for different niches. If you want more information than what’s offered from a free report, you can buy detailed niche reports from trade associations and market research firms. I recommend taking the FREE Udemy course, called Entrepreneurship — From Idea to Launch, this entrepreneur course explains the entire process from the creation of a business idea, to successfully launching your new business. The entrepreneurship course also has a number of lectures to guide a to-be entrepreneur, by explaining the steps and processes that will significantly increase their chances for successfully turning their business idea into a successful venture. If you need to hire a developer or a product designer, then developing a prototype can become pretty costly. Obviously, your new product should solve a problem and make consumers lives easier, but you should also make sure that there isn’t already a product on the market that already easily solves the problem your product would solve. Ask people if the product you’re creating would be beneficial to them and if it would solve their problem. You can do this by conducting in-person surveys and by conducting online surveys. You’ll be able to find out a lot about your potential customer, like their age-group and how much they would be willing to pay for your product or service. In the beginning stages of your start-up you’ll be spending money, not making money. So unless you have around a years’ worth of savings to cover living expenses, I would recommend that you keep your day job, at least until your business is running smoothly. Use the time you have after work to conduct your surveys to potential customers and do market research. This way you’ll be able to build your business, and not worry about going broke in the process. If your new business is similar to the industry you’ve been working in, your first customers are likely to be your current professional contacts. You’ll want to build upon that network now and reinforce your relationships. Use your time away from your current job, like weekends, vacations, and evenings to do your customer and market research. You should interview other small-business owners, and bankers and lawyers who have clients in your business niche.